This is the first post in a series of posts on mechanosensation and mechanotransduction and their role in physiology and disease. Future posts in this category will focus on various aspects of role of mechanosensation and mechanotransduction in human physiology. These aspects will include among others: gene modulation, cellular mechanosensation, tissue regeneration, stem cell differentiation, cancer, disease models, nanomodulation, material science and therapeutics etc. Multicellular organisms such as humans require intricate orchestration of signals between cells to achieve global morphogenesis and organ function and thus maintain haemostasis. Three major ‘signalling modalities’ work in unison intracellularly and/or exrtacellularly to regulate harmonious functioning of the physiological milieu. These ‘modalities’ namely biochemical molecules, electrical currents or fields and mechanical forces (external or internal) cohesively direct the downstream regulation of physiological processes. have reinstated the importance of external mechanical forces in physiology. As a result more recent investigations have demonstrated that external mechanical forces are major coordinators of development and haemostasis of organisms ,  . ‘Mechanotransduction’ has been traditionally defined as the conversion of mechanical stimulus into chemical cues for the cells and thus altering downstream signalling e.g conformational changes in ion channels might lead to initiation of downstream signalling. However, with the accumulation of new knowledge pertaining to the effects of external mechanical loads on extracellular matrix or a cell or on subcellular structures, it is being widely accepted that mechanotransduction is more than merely a physical switch. Rather it entails the whole spectrum of cell-cell , cell-ECM, and intracellular interactions that can directly or indirectly modulate the functioning of cellular mechanisms involved in haemostasis. This modulation can function at various levels such as organism level, tissue level, cellular level and subcellular level. Hydrostatic pressure: mechanical force applied by fluids or gases (e.g. blood or air) that perfuse or infuse living organs (e.g. blood vessels or lung). Shear stress: frictional force of fluid flow on the surface of cells. The shear stress generated by the heart pumping blood through the systemic circulation has a key role in the determination of the cell fate of cardiomyocytes, endothelial cells and hematopoietic cells. Compressive force: pushing force that shortens the material in the direction of the applied force. Tensional force: pulling force that lengthens materials in the direction of the applied force. Cell traction force: is exerted on the adhesion to the ECM and other cells as a result of the shortening of the contractile cytoskeletal actomyosin filaments, which transmit tensional forces across cell surface adhesion receptors (e.g. integrins, cadherins). Cell prestress: stabilizing isometric tension in the cell that is generated by the establishment of a mechanical force balance within the cytoskeleton through a tensegrity mechanism. Pulling forces generated within contractile microfilaments are resisted by external tethers of the cell (e.g. to the ECM or neighboring cells) and by internal load-bearing structures that resist compression (e.g. 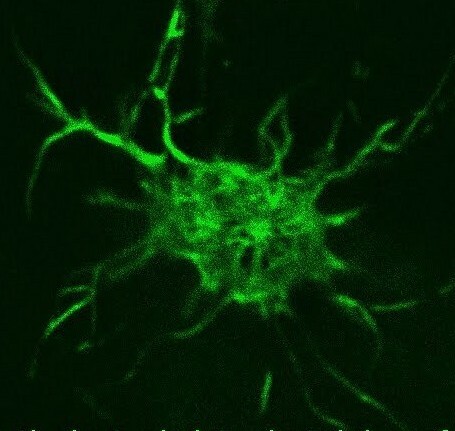 microtubules, filipodia). Prestress controls signal transduction and regulates cell fate. It is the interplay of these forces generated by the cellular cytoskeleton and the ECM that regulate physiological functions. Disruption in mechanotransduction has been implicated in a variety of diseases such as hypertension, muscular dystrophies, cardiomyopathies, loss of hearing, cancer progression and metastasis. Ongoing attempts at unravelling the finer details of mechanosensation hold promising potential for new therapeutic approaches. H. Zhang and M. Labouesse, “Signalling through mechanical inputs – a coordinated process,” Journal of Cell Science, vol. 125, no. 17, pp. 4172–4172, Oct. 2012. R. A. Brand, “Biographical Sketch: Julius Wolff, 1836–1902,” Clin Orthop Relat Res, vol. 468, no. 4, pp. 1047–1049, Apr. 2010. A. J. Hudspeth, “The cellular basis of hearing: the biophysics of hair cells,” Science, vol. 230, no. 4727, pp. 745–752, Nov. 1985. N. Wang, J. P. Butler, and D. E. Ingber, “Mechanotransduction across the cell surface and through the cytoskeleton,” Science, vol. 260, no. 5111, pp. 1124–1127, May 1993. J. T. Finer, R. M. Simmons, and J. A. Spudich, “Single myosin molecule mechanics: piconewton forces and nanometre steps,” , Published online: 10 March 1994; | doi:10.1038/368113a0, vol. 368, no. 6467, pp. 113–119, Mar. 1994. P. A. Janmey and R. T. Miller, “Mechanisms of mechanical signaling in development and disease,” J Cell Sci, vol. 124, no. 1, pp. 9–18, Jan. 2011. R. Keller, L. A. Davidson, and D. R. Shook, “How we are shaped: The biomechanics of gastrulation,” Differentiation, vol. 71, no. 3, pp. 171–205, Apr. 2003. T. Mammoto and D. E. Ingber, “Mechanical control of tissue and organ development,” Development, vol. 137, no. 9, pp. 1407–1420, May 2010. We have gone into the hemostatic process, which is complex. There is no question about the effect of shear stress – non existent in capillaries, and highest at arterial branch points. There is also something to be learned about intercellular binding, and I do think that the underlying vascular interstial tissue could affect the process. Dr. Lev-Ari has just made the important point that excess calcium intake, which would reach an upper limit to excessive, would contribute to a hypercoagulable state. It is interesting that before Warfarin, and then the isolation of Prothrombin by Walter Seegers at Iowa, only the role of calcium was known to be needed for coagulation. The coagulation cascade was developed, but Dr. Seegers and colleagues for years investigated the relationship of the clotting factors to the structure of prothrombin. Insofar as bone is concerned. Bone remodeling is very dependent on load. There is a muscle:bone ratio of 7 to 1. Intermittent contraction drives remodeling. Young bone is less dense than mature bone, but as bone remodels, the concentric rings of osteones get smaller and more compact. But you have growth in length at the metaphysis, under the cartilage at the epiphysis, and you have growth in width from fibrous transformation. Thanks for your comments. As you mentioned role of sheer forces in the complex process of haemostasis is being investigated and has been discussed here on the site’s forums. There are studies that have implicated the alterations in fluid sheer stress in atherogenecity. And further investigations are underway to understand how that works at various levels i.e tissue level, cellular level and even subcellular level. Similarly for bone, and other tissues, the discovery of ‘pathways’ of mechanotransduction and their downstream regulation of various subcellular biochemical reactions are highlighting ‘new’ approach towards understanding physiology better and thus hoping to find new therapeutic targets. I will try to cover those topics in future posts and address the physiological (or derrangement of it) issue from the mechanosensation point of view. Thank you for launching an ambitious plan in this important domain.We look forward to reading your forthcoming content. A great beginning been shared with the reader. You meant shear, not sheer or both? You mentioned metaphysis and epiphysis, indeed, unlike any other system in the human body, it is only in bone that growth is unidirectional and at a special singular site. The low stature and the short lower extremities are directly related to developmental processes occurring at the metaphysis and epiphysis. Though, bone is present throughout the entire human body minus the visceral interior, any growth occurs at this sites. How about the rib cage acs the scull? Thank you for your comments. Nest posts will start having a small list of abbreviations from the post. Indeed I meant Shear and not sheer :), thank you for pointing that out. Regarding the growth in ribs and skull, from mechanical stand point– they are quite interesting. Unlike long bones skull is not loaded in longitudinal direction rather it is loaded tangentially, due to mastication and changes in intracranial pressure. Interestingly the mechanosensitivity of skull osteocytes thought to be much higher than the osteocytes in long bone and thus they maintain the bone architecture with little loading. I think the direction of growth is probably dependent on principle direction of loading and also many chemical cues that arise from the genetic data.